Muppets get a Cafe Press Shop! That's right folks, you can now get T-shirts with the club logo on. Also many other items from calendar to a wall clock, a club logo mug to a classic thong, that's right folks your very own Sad Muppet thong. Please visit the shop and have a look round lots more there to look at. If you spot any mistakes please get in touch with me. 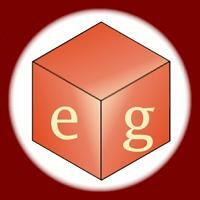 Eclectic Games is Reading's only dedicated specialist games shop. Present your membership card at the till before purchasing, members are eligable to claim a 5% discount on all purchases. (Collectable card games, food and drink and tournament entry fees are excepted from this offer). Terrain Warehouse UK developed from its owners running a wargames club and we wish to promote other people to organise and run such clubs. We have a club account which gets us 10% off their product. We are now affiliated to LvlUp Gaming, Bournemouth's largest dedicated tabletop gaming centre. Every time you order from them and use the code muppets2015 when you checkout, you will get 5% off their already discounted prices AND you will be earning credit for the club to buy stuff, prizes and scenery most likely. The Bolter & Chainsword exists to help people learn about modelling, painting, understanding, and playing with power armoured armies in the Warhammer 40k game universe. Arguably the Internet's oldest wargaming forum. Warhammer 40k and Fantasy Forums for painting tips, news & tactics! The home of miniature wargaming on the Internet. Rival Species is a Warhammer 40,000 themed total conversion for Half-life. Exterminatus is a Warhammer 40,000 themed total conversion for Half-life 2, by the same team that brought you Rival Species for Half-life. A website devoted to publishing news, review and articles about all facets of the tabletop gaming hobby. A large community dedicated to reviews, news and discussion about Games Workshop products including Warhammer 40,000, Warhammer and many of their specialist games.